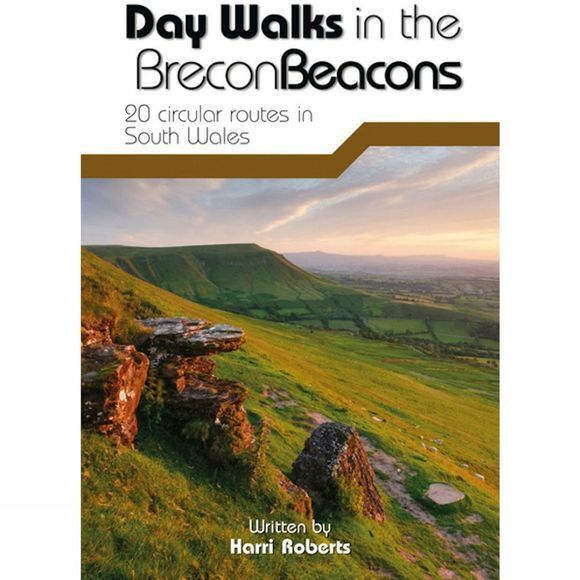 Day Walks in the Brecon Beacons is the latest hill walking guidebook in the popular 'Day Walks' series from outdoors publisher Vertebrate Publishing, following guides to the Peak District, Lake District, Yorkshire Dales, North York Moors, Snowdonia and South Downs. This pocket-sized guide features 20 circular routes between 6.8 and 16.5 miles (11km and 16.6km) in length, suitable for hill walkers of all abilities. The routes are split into four areas – Blorenge and The Black Mountains, The Brecon Beacons, Mynydd Llangatwg and Mynydd Llangynidr, Fforest Fawr and The Black Mountain. Each route features Ordnance Survey 1:25,000 maps, easy-to-follow directions, details of distance and navigation information, and refreshment stops and local information. The walks are illustrated with stunning photography by the author and outdoor photographer Adam Long. Harri Roberts is a freelance writer, editor and translator based in Newport, Gwent. He has authored a number of Welsh walking guides, including a forthcoming official guidebook to the Wales Coast Path (Amroth to Swansea section). His love of the Brecon Beacons developed during research for an ambitious guide to the Cambrian Way, a high-level, Welsh 'end-to-end' across some of the most scenic and mountainous terrain in the country.